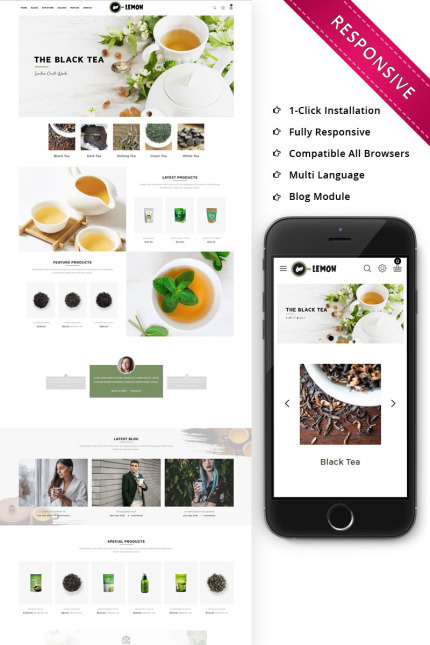 Lemon – Beverage Store is a modern & stylish Opencart Responsive Theme that you definitely need for impressive online presentation of your colorful tea store, coffee shop, cafe, bar business services, restaurant, bakery, etc. This template is fully compatible with all SEO standards, helping your business have a high search on Google Search. Lemon Store is robust and new web technologies; it is fully responsive based on powerful Bootstrap 3 responsive grid system.